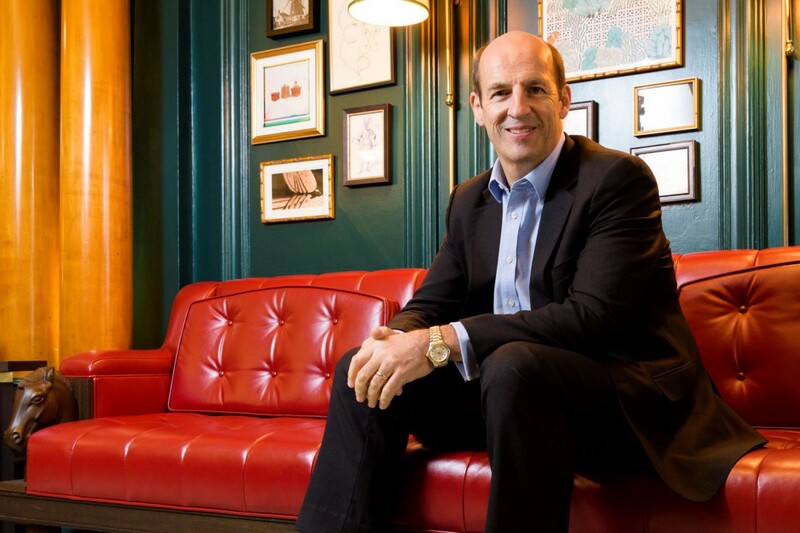 As a part of my series about how leaders can create a “fantastic work culture”, I had the pleasure of interviewing Adam Warby, CEO of Avanade. Adam joined Avanade at its inception in April 2000 as one of the founding members. For the past 19 years, he has been instrumental in building the company and shaping its culture. Today, he is proud to lead a team of 35,000+ professionals who work together to deliver innovative solutions for leading organizations and bring clients the art of the possible in a digital world through the power of people and the Microsoft ecosystem. As an engineer, I’m fascinated not just by technology but how the application of technology can improve the way we live and work in today’s world. From an early age, I had that mindset of wanting to understand how things work and trying to figure out how I might make things work better, so it was natural to become intrigued by the impact of technology on the way that we work, play and live. It’s not just about the possibilities of technology for me; it’s also about the human impact that technology can have. As CEO, one of the things I am most passionate about is the experience that we offer our employees, and I can summarize the essence of it in three words: inspired, confident, cared for. We want our employees to feel inspired by the opportunities that they have to make a human impact on our clients, their customers and their employees. We want our employees to feel confident that they can grow both professionally and personally during their journey at Avanade. And we want our employees to feel cared for when they need help — either at work or at home. Last year after a big meeting in our NY office, I was approached by Antonella, one of our employees, who opened the conversation by telling me that Avanade had saved her life. She had previously moved from New York to Seattle and soon after took a role as a consultant with Avanade. While her professional life flourished at Avanade, she found herself struggling in a controlling and abusive relationship at home. Antonella took a risk by asking for a leave of absence soon after joining Avanade. Then she asked for our support to transfer closer to her family back in New York and into a new role. Antonella told me how much it meant to her to have the support of her family and her Avanade “work family,” which helped get her back on a thriving professional and healthier personal path. Antonella’s story is particularly inspiring as we head into March and the celebration of International Women’s Day. As a leader, I’m proud that we were able to empower Antonella to change her life. 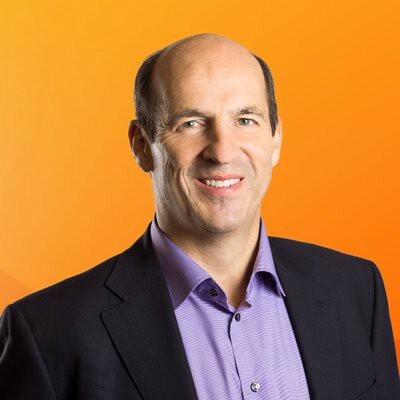 As CEO, I’m proud and humbled that Avanade is a place where our team feels inspired, confident and cared for. If you’d like to read Antonella’s story, you’ll find it here. I would highlight Digital Ethics as one exciting area that we’re working on. As consumers, the volume of digital data that we share with our interactions is staggering — whether that’s a connected device that can virtually control, track and monitor your heating and home security or an online credit card purchase that triggers a plethora of “other items you may like,” the digital footprint that we leave generates vast amounts of information. For businesses, having access to this much personal data can create moral, ethical and human dilemmas. So how do we manage it? Protect it? Who should have access? And just because I have this data, should I use it? At Avanade, we’re leading on digital ethics by identifying ways to help our clients properly use consumer data without jeopardizing customer or employee privacy. Our team has partnered with Northeastern University where we have created a digital ethics task force. We just held our third digital ethics summit at Avanade’s Seattle offices. These summits are attended by corporations and organizations of all sizes — including our competitors — to create guiding principles for companies to use to protect consumer data and use it responsibly and ethically. It’s a big area, there’s much to be done and I’m excited about the impact we can have as we help lead the way. I see many of the sources of unhappiness cited in the story itself — lack of appreciation, poor commitment to training and real pressure to forfeit vacation and personal time. We all need to find a work- life balance and opportunities to learn and grow. As leaders, we have a responsibility to our employees to build those things into our culture. And they don’t have to be complicated. For instance, we’ve just celebrated Employee Appreciation Day globally in Avanade and encouraged our teams to send e-cards to three colleagues who they appreciate working with. People really embraced it! As a services company, our employees are the face of our brand — to our clients, our partners and our recruits. If our team isn’t engaged, motivated and happy, that’s going to be reflected in the customer experience that each of those groups have when they interact with our company. The relationship between Employee Experience (EX) and Customer Experience (CX) is starting to be well documented. Our assertion to our clients on this topic is that CX + EX = ROI+, is supported by recent MIT CISR research showing that companies with highly engaged workforces are 21% more profitable than those with poor engagement. My first impulse when it comes to giving improvement advice is to look for the baseline or where we’re starting from. I know there are plenty of companies out there with fantastic cultures and others that may need to start from the ground level. I can point out some things that have helped us shape our Avanade culture. 1. Live by your values. Too many organizations have a set of values posted on their website or hanging in their offices, but they don’t bring them to life. Having values that truly represent what your company stands for sets out clear expectations for employees and, as I found out two years ago, gets the team emotionally engaged in the direction of the company. When I asked my leadership team to take a fresh look at our values, what might have been a wordsmithing exercise turned into a deeper discussion around our old value of “Passion for Technology.” The team felt very strongly that an affinity for technology was a binding and defining part of Avanade. At the same time, I felt that we needed to channel that passion for technology into something that would help our clients transform for the future. We landed on a good solution and now one of our values is “We Innovate with Passion and Purpose.” This is meaningful for the team and actionable in so many ways. In fact, the work we did to refresh our values subsequently helped us evolve our brand essence to focus on the #HumanImpact that Avanade makes on our clients, their customers and their employees. 2. Take time to connect and learn. It’s easy in the digital world to believe that you can keep your finger on the pulse with just email and social media. My advice, however, is not to fall into the trap of using digital tools as a proxy for face-to-face interactions. In my experience, it’s only when you sit down and talk with someone that you get a real sense of how things are going. I try to connect personally with our teams in a variety of different ways. Whether it’s hosting a town hall-style event or a smaller “connect with” group session when I’m on the road, or simply stopping by someone’s workspace to say hello, I get energized by hearing first-hand what’s on people’s minds and it’s a great way to learn what’s really going on in the business. Of course, it’s not just about connecting — it’s the way that you do it. About five years ago, we took our usual “two people talking head” corporate video series on the road and started hosting interviews with clients, employees and others in unexpected places. 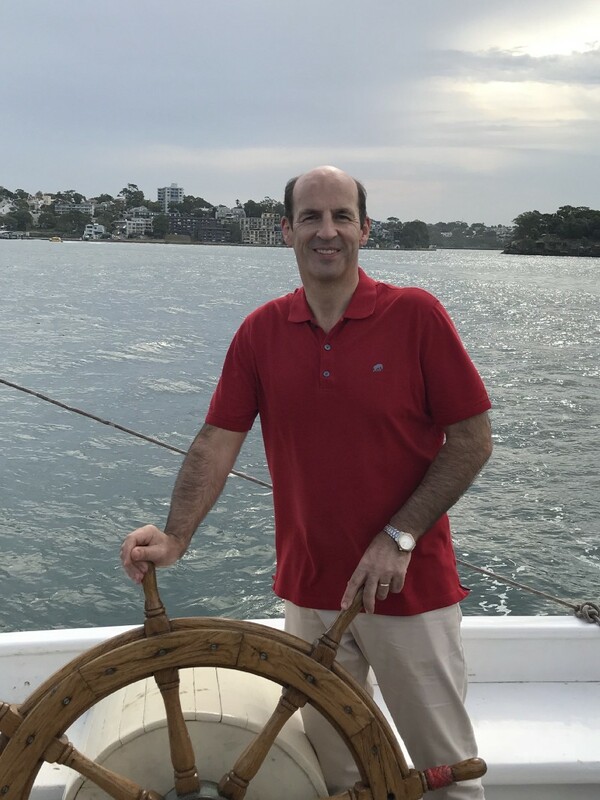 Named “On the Move with Adam Warby, I’ve recorded interviews in a hybrid car on the west coast, on a double-decker bus in London, and most recently, on a tall ship in Australia. It’s been eye-opening to see how much the change of venue impacted the change in tone and conversation! 3. Do work that matters. At Avanade, we have found that 77 percent of recruits indicated a company’s commitment to social issues is a top priority for them. The next generation wants to work for an organization that makes a difference in their communities, on the environment and in the world. That’s why one of our values is about changing things for the better. However, it’s not enough to simply pay lip service to the actions that you will take — employees want to work on client projects that make a human impact (see this example); they want corporate citizenship programs that they can participate in, learn new skills in and see the impact of their work. We’ve shaped an approach that offers a range of ways to get involved in transforming the social sector, helping prepare young people for the digital era, giving and volunteering. There’s something for everyone! 4. Make communications part of everyone’s job. No one wants to hear the same voices all the time, and top-down communications doesn’t promote a unified workforce. We look to people in every area of Avanade to help us build our overall story of who we are and what we do. From client successes to personal triumphs, we encourage people to tell their stories, like Melanie Dowczek did when she shared her journey from cancer patient to healthcare innovator. 5. Lead by example. So many companies claim to value a work/life balance but then make employees feel guilty when they take time off. We must demonstrate positive habits and respect them in other people. For instance, I always plan out my vacations ahead of time to make sure that I take the time that I have earned, and I encourage my team to do likewise. In my opinion, happier, rested employees are much more creative, innovative and engaged than unhappy ones! Much as technology has already entered the workplace, I still believe that there is huge opportunity ahead to further enhance collaboration, decision-making and overall work culture through technology innovation. In fact, Paul Daugherty, CTIO of Accenture and Chairman of the Avanade Board wrote a book on this topic called “Human + Machine: Reimagining work in the age of AI”, which is both eye-opening and practical. In addition, if we can continue to build a truly diverse workforce where women are equally represented, and the voices of minority and identity groups are welcomed and heard, the workforce would reshape itself for the better. We all benefit from diversity and inclusion, and helping people feel inspired, confident and cared for is a great foundation for positive change and, as we say at Avanade, #HumanImpact. As a leader, I would say that I am people-focused, collaborative and that I have a growth mindset. I spend up to 40% of my time focused on a range of people matters — not just at the leadership level but across our entire organization. My commitment to collaboration is captured in another of our values: we believe that everyone counts, and that people feel comfortable being their true selves at work. On the growth mindset, making sure that we always keep an outside-in perspective is critical to bringing the best thinking to our clients and to our own teams. – Avanade’s founding CEO, Mitch Hill, was my boss, friend and an inspiring leader. I learned so much from Mitch as he launched Avanade and worked to grow the business in a fast-moving environment. He had a great way of teaching and developing leaders not directly, but by keeping us close to the action to watch him work or take on challenges, knowing he was available to guide our thinking. Mitch passed away in 2013, and I feel the gift of his legacy every day. – My Dad, who like all good mentors, has always been there at the times when I’ve needed advice. Most times, he says very little — he just listens and lets me work through the best solution and approach. One of our core values at Avanade is “we change things for the better,” so I would say that our work in bringing goodness to the world is a constant work in progress. Last year for instance, we launched a new partnership with Microsoft Philanthropies called “Tech for Social Good” which is targeted at the non-profit sector. We know that non-profit organizations and the social sector face many of the same challenges in leveraging technology that traditional for-profit organizations face: a lack of scalable industry solutions; a significant shortfall in technology talent at their disposal; financial pressure compounded by the lack of affordable technology services, including cloud service and more. Avanade’s Tech for Social Good can help to address these challenges by creating prepackaged and repeatable IP solutions based on Microsoft technologies that are tailored to the most specific needs of the non-profit sector and allows them to better serve their recipients. This includes things such as donor management, fundraising and volunteer coordination. At the same time, this program is something that we would like our broader Avanade team to get involved in as it provides opportunities to learn about and experience a new sector, develop new skills and capabilities, and potentially enhance career progression. “Take time to stop and smell the roses.” This is a life lesson that I take literally and figuratively. I have a rose garden at my home in the UK that demands regular attention. The pace of change in the garden is a perfect contrast to the “faster than ever before” pace of change and disruption in the technology industry. It requires me to slow down and invites me to think about the seasons and how growth is happening even when we don’t see it. I like to think I apply these lessons in other areas of my life — managing a global organization where growth happens at a different pace in each of our 24 markets; taking the time to make a personal connection with the Avanade team on my travels because that sparks new thinking and ideas; or even the work I help lead as Chairman of Junior Achievement Europe whose mission is to help the next generation of workers develop the job readiness and entrepreneurship skills they need to be successful in the digital world. Making sure that young women get access to education first and foremost, and then specifically helping girls to pursue careers in Science, Technology, Engineering and Math (STEM). There are countless studies that have shown that when you educate women, societies prosper. In 2015, as part of our 15th anniversary celebrations, Avanade helped change the lives of five young women at Cal Poly Pomona University through the creation of a scholarship program for women who wanted to pursue degrees in STEM. One of these women was Nandita Chauhan (watch her story) who moved to the United States when she was six. Her parents wanted her to have access to quality education from an early age but worried about how they might afford university. When Nandita called her father to tell him she had won the Avanade scholarship to pay for her degree, they both wept tears of joy. Her father said the scholarship was “The best thing to happen to our family in a very long time.” And in some respects, it came full circle because after completing her degree in computer science, Nandita chose to join the Avanade family as a technology consultant and is now working with our clients to change things for the better. To thrive and prevent burnout – take time off, don’t think about it, just do it.